Despite an overall picture of continuing fixed speed camera operations, concern was raised by a number of those questioned about how the money would be found to replace increasingly obsolete wet-film cameras – those relying on old-style photographic film instead of digital technology – with new equipment. One estimate is that an appropriate type-approved digital camera to replace a wet-film camera will cost in the region of £20,000. “Many people believe there has been a mass switch-off of cameras over the past couple of years. But the data shows that, overall, this is simply not true. “The RAC Foundation’s best evidence is that if all speed cameras were turned off around 80 more people would be killed on the roads each year with 700 others seriously injured. Therefore we welcome these figures which suggest the majority of fixed cameras have been retained and housings are being kept in place to act as a deterrent. “Although there are many more housings than cameras, it seems that the cameras are regularly rotated between them ensuring there is some level of positive enforcement at most sites. It is also important to note that many police constabularies rely heavily on mobile cameras to catch law breakers and in many cases have now have an increased emphasis on this type of operation. The FOI requests were made between December 2011 and January 2012 and responded to thereafter. PLEASE NOTE: In the table below comparisons between annual cumulative totals are difficult to make because, while some partnerships were able to provide like for like data for both years, others were not. How many fixed speed cameras did you have operational in June 2010? How many fixed camera housings did you have in place in June 2010? How many fixed camera sites did you have operational in June 2010? How many fixed speed cameras are currently (Jan 2012) operational? This list of organisations is taken from the Department for Transport (http://assets.dft.gov.uk/publications/fixed-speed-camera-data-sources/fixed-speed-camera-data-sources.pdf). Road safety in England has been managed by partnerships which include local police, local fire brigade, local authorities and other relevant bodies. Various names are used. A camera housing is the box at the roadside which holds a camera. 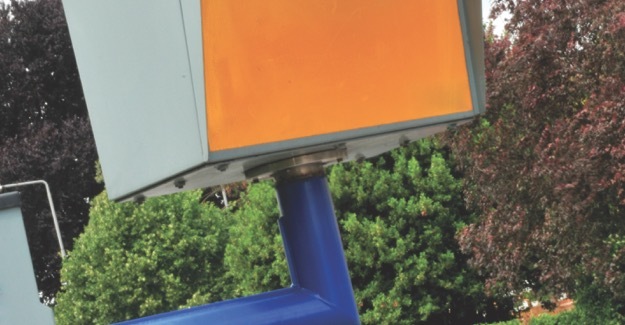 Speed camera housings have a yellow reflective panel on them. A camera site is a geographical location (e.g., a road junction, a particular stretch of road) where a camera or cameras have been installed (Source: Transport for London). Where number of sites has not been given, the number of housings has been used as a proxy. FoI request rejected by virtue of Section 31(1)(a)(b)(c) of the Freedom of Information Act 2000. Collated from partnership member organisations. The red-speed camera in this area (and the housing/site for it) has been ignored because it has been used only for red light offences in the study period.